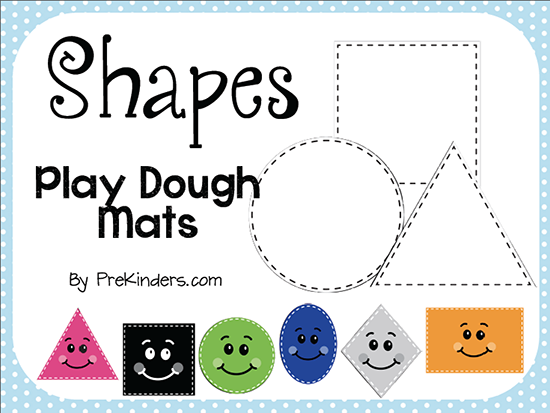 I have a growing collection of play dough counting mats, and thought Shape Play Dough Mats would be a nice addition to the Math Play Dough Mats sets. I have an old set of shape mats made years ago with construction paper, a marker, and some clear contact paper, but after years of use, it’s time for something new. To use them, children will roll out the play dough like a “snake”, then form the snake into a shape by placing it on the outline of the shape on the mat. I wanted to add a little fun to these mats to catch children’s interests and imagination as they practice making shapes. Each shape has an extra something to add after children have made the shape. The right hand corner of each mat has a little picture to remind children of what they can add to the shape if they use these mats independently. This also introduces them to shapes in the environment. Circle: The circle mat says, “Make a circle. Pretend it’s a cookie and add some chocolate chips.” Children can pinch off some play dough and roll it into tiny chocolate chips to decorate their cookie. 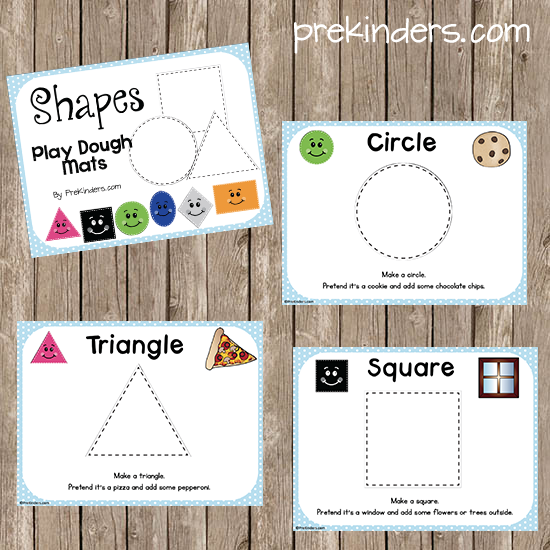 Triangle: “Pretend it’s a pizza and add some pepperoni.” Children can form little pepperoni out of extra play dough to make the triangle look like a slice of pizza. Square: “Pretend it’s a window and add some flowers or trees outside.” Children can use play dough to make either some flowers to place outside the window or some trees. Diamond/Rhombus: “Pretend it’s a kite and add a kite tail.” Children can roll out some more dough to make a kite string. 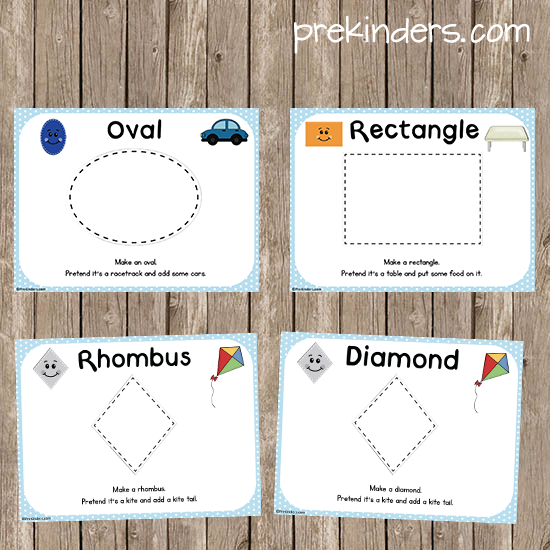 I have included mats for both “diamond” and “rhombus” so you can choose the one you prefer. Oval: “Pretend it’s a racetrack and add some cars.” Cars might not be easy to make with play dough, but show children how to make a very simple representation of a car with play dough (no details). Hope your students enjoy these mats! These are alway fun , thank you . 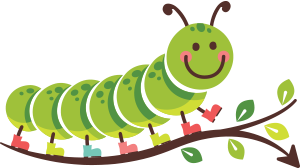 Thank you for the wonderful ideas and creative projects that you share, they have greatly help with lesson plans and ideas for my class. 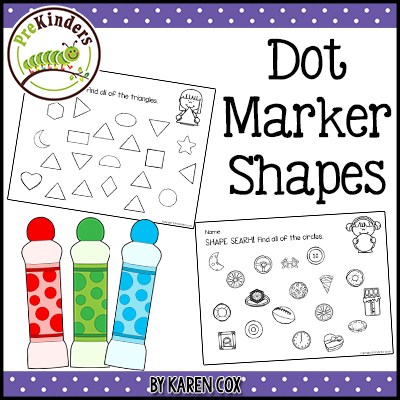 The dots are a hit with the children and staff. Thanks, Barbara! Glad to hear they are enjoyed! Love the play dough mats! We use play dough play in our early childhood programs at the library, and these are excellent! Thanks! Play dough is one of the best tools for Pre-K! Thank you for these mats, they will be of great use in the classroom! Thanks! Hope your students enjoy them! Thanks for all your hard work- and for having them available for free. That is so nice for poor teachers like me! Thanks, Bonnie! I hope you enjoy them! Thanks for everything. It’s really amazing job. Actually I’m a Head of Education Department, and at this moment I’ll share what I get from you with my preschool teacher. So far the ideas from you are very meaningful. Thanks again. The children will love these. Thank you. Thank you! So, do we print and put in page protectors? Newbie to preschool. Thanks! 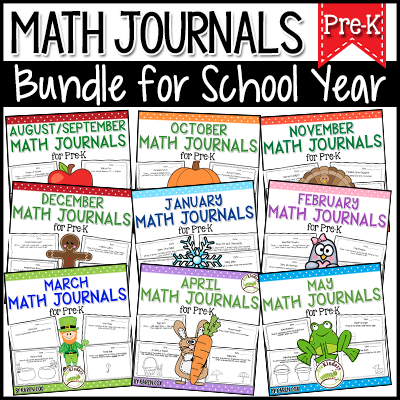 Hi Jenny, I do put mine in page protectors and connect the pages with binder rings. 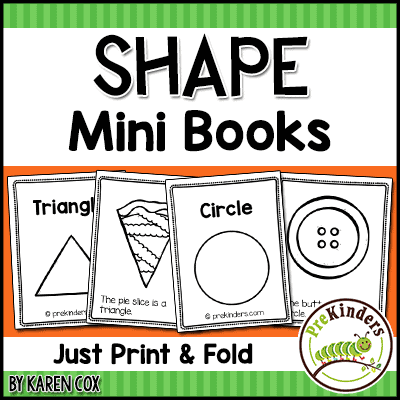 That way the children can make a shape, then flip to the next page. I do this with all of my play dough mats. However, some people may prefer to laminate them instead. Muy creativas las ideas para enseñar lad figuras geométricas. Great ideas. A huge Thank you!!!!!!! I really love them for my class. God bless. We have really enjoyed your play mats. Thank you so much for sharing your amazing ideas. 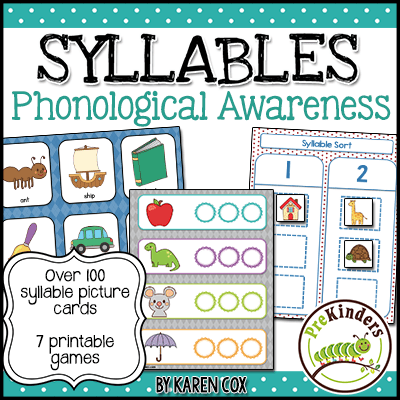 Thank you for the templates, my child is going to love it (for our long haul flight ~ it will be a lifesaver!). I’m trying to have it printed at Staples and they’re saying that the pdf is locked and it is asking for a password? They shouldn’t have any problem just printing it. The PDF is locked only to changes being made to it, but it is not locked to printing. These are SO cute! I know my grandson will LOVE these!